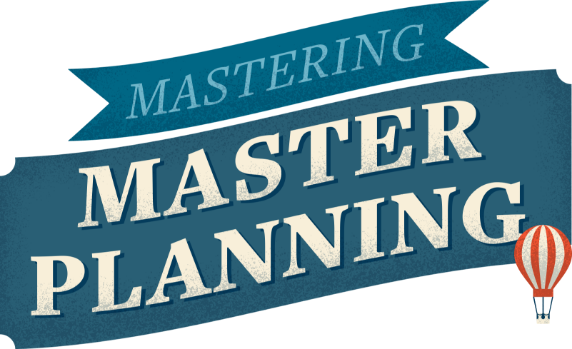 Master planning as a concept has its roots in city design, the tenet that all systems in a community are connected. Water, sewer, road and transportation networks, commercial entities — these puzzle pieces fit together to serve the greater good of the residents who live, work and play in those spaces. As the future quickly becomes the present, this concept still holds true. But master planning is taking on new meaning and is evolving to include new issues across multiple regions of neighborhood, city, county and state. To maintain flexibility and growth alongside new technologies and the evolving needs of residents, the communities of tomorrow must reimagine the traditional ideas of a community’s appearance, function, amenities and resources. Click on to tour the master plan. Commercial spaces are designed with flexibility in mind. Built to adapt to a variety of uses, these spaces will be key to attracting a variety of tenants for a diverse economy. As solar and wind resources are distributed across the community in microgrids, the need for large power generation outside a city will be less important. Housing and amenities designed with all age groups in mind provide opportunities for living, working and playing in a more inclusive environment. This caters to a diverse workforce and recognizes that a vibrant, economically successful community requires participation from everyone. The modernized classroom will require heightened connectivity or added functionalities that will enhance the traditional classroom, including the freedom to choose the curriculum and project-based, personalized learning. The hub-and-spoke layout, an old design made new again, offers great potential for economic growth and transportation flow. The idea’s overall flexibility allows for further development, and multiple hubs enable a futuristic, point-to-point city plan. The hub acts as the heartbeat of the community. It is integral to the movement of people and freight into, out of and around the city, and contributes to the economic growth of the community. Instead of on the outskirts, more airports will be placed inside the city. These spaces will need to include new technologies that offer passengers simplicity and efficiency throughout their travel experience. Designed to cater to major employers, hospitals, libraries or recreational centers, these are spaces around which the community can gather and grow. 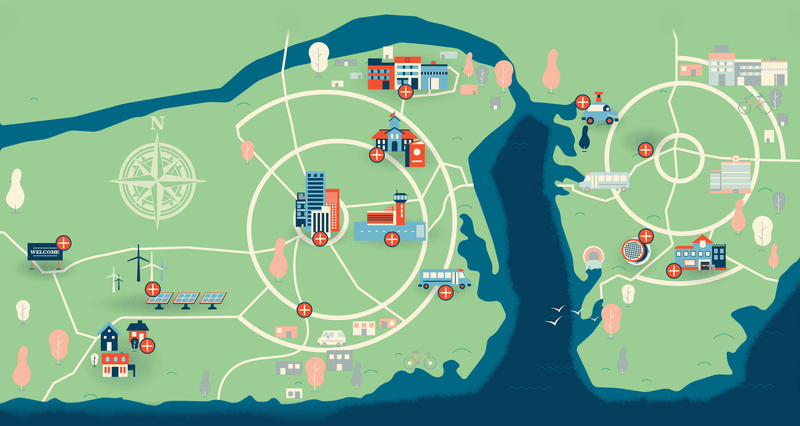 Each hub connects all forms of current and developing transportation. From personal vehicles to public transit and ride-sharing to scooters, bikes, pedestrian accommodations and autonomous vehicles, less concrete will be needed to maintain efficiency. The charging and storage of autonomous vehicles will be developed outside the community, where grid connectivity is already built out. These vehicles will charge by plugging themselves in or without direct connection to a device. Moving data and computing closer to residents will become the focus. Smaller centers located around a community allow for edge computing, which assists in resiliency and the processing of massive amounts of data. From traffic control to surveillance, security will be built into the infrastructure — even adjusting during emergencies and special events to accelerate the arrival of first responders. Using less concrete — and more sustainable stormwater solutions — will boost water collection opportunities, improve water quality and reduce impacts on sewer systems. New considerations for water conservation and reclamation must consider sustainability and resiliency. The modern design community dictates that eventually everything will affect the human element. In the master-planned communities of the future, problems will be solved not only by reimagining structure and functionality but also through shared data cultivated to better protect and support the community’s residents. If traditional barriers to knowledge are broken down — and shared perspectives and ideas are valued and analyzed — better, safer communities can result. This will be the key to unlocking a true master community.